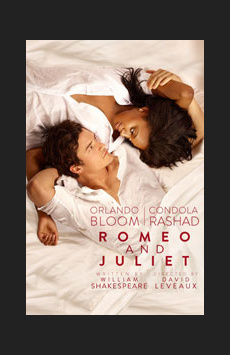 Orlando Bloom and Condola Rashad star in this modern take on Shakespeare's classic, directed by David Leveaux. What Is the Story of Romeo and Juliet? William Shakespeare’s Romeo and Juliet is perhaps the most well known of all The Bard’s plays. Romeo meets Juliet at a costume party. It is love at first sight as he falls head-over-heels for the lovely young girl, who feels the same way about him. After a romantic conversation over a balcony, the two decide that they must get married at once. This would have been a picture-perfect union of kindred souls, had it not been for fact that their families are sworn enemies. Tragic events are put in motion when Romeo is drawn into a fight with Juliet’s cousin Tybalt, forever altering the lives of the young couple and those who love them. What Is Romeo and Juliet Like? Shakespeare’s tragic tale of two star-crossed lovers has captured the imaginations of generations of theatergoers. Director David Leveaux’s revival is a provocative production with a modern, urban vibe. 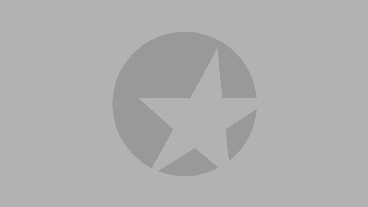 Orlando Bloom makes an impressive Broadway debut as Romeo and Condola Rashad is a lovely complement to him, appearing devoted, pure and wide-eyed. Romeo and Juliet is a striking piece of theater, and the universality of the theme never grows old: finding love, keeping love, the expense of love and, ultimately, the triumph of love over hate. Is Romeo and Juliet Good for Kids? High drama, violence and Shakespeare’s flowing language might not be appropriate for children, but this production's modern-day (motorcycles, torn jeans, Dr. Martens) will appeal to teens who have read the play in school. Young fans of Baz Luhrmann’s film adaptation starring Leonardo DiCaprio and Claire Danes may especially appreciate the contemporary revival.